Stir fry is one simple dish which goes well with rotis and rice. There are different ways to prepare stir fry by using different ingredients. Here is one easy way to prepare snake gourd stir fry. Wash snake gourd, peel the skin and cut it into half moon shaped pieces. 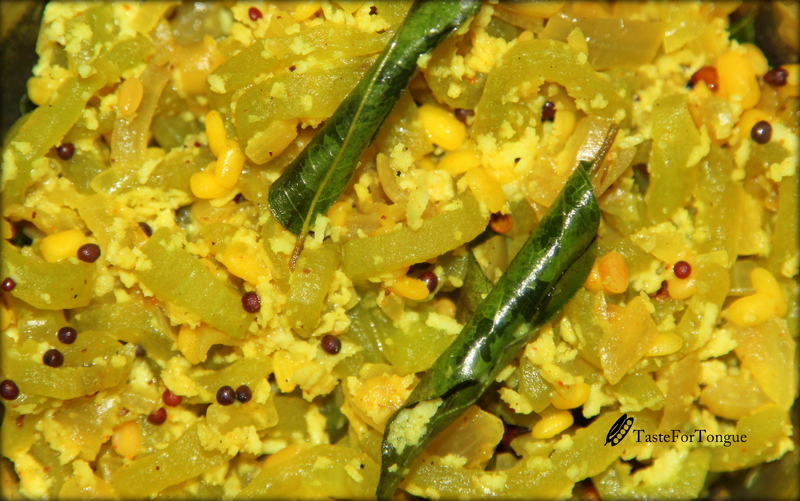 In a bowl, along with snake gourd pieces add little salt and moong dal. Keep it aside for 15 minutes. 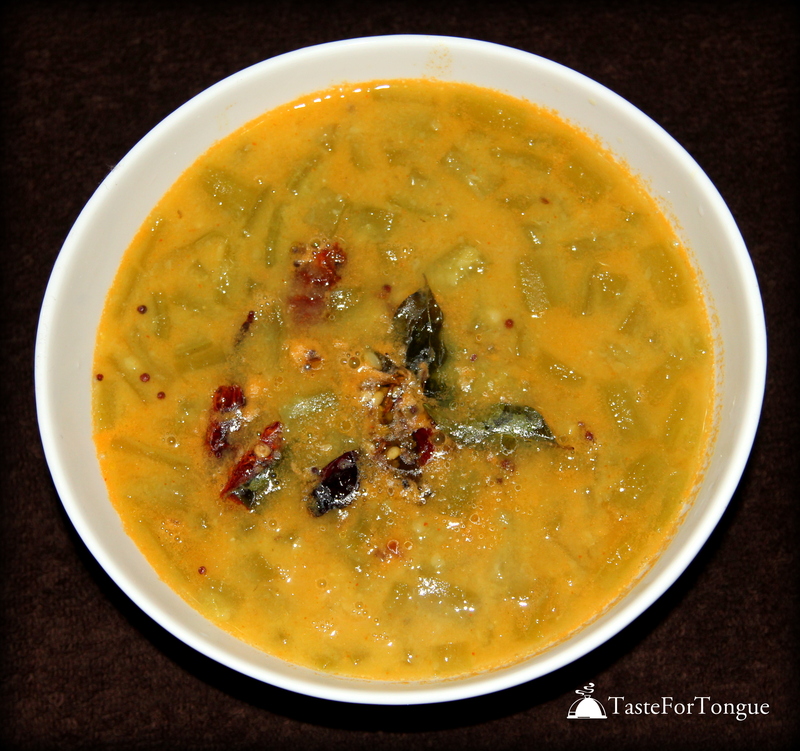 Take a deep pan and add 2 tbs of oil, mustard, urad dal , green chillies and curry leaves. Upon spluttering add onion and fry them till golden brown. Add turmeric and keep stirring the contents of the pan for 5- 10 minutes. If needed add 2 tbs of water. 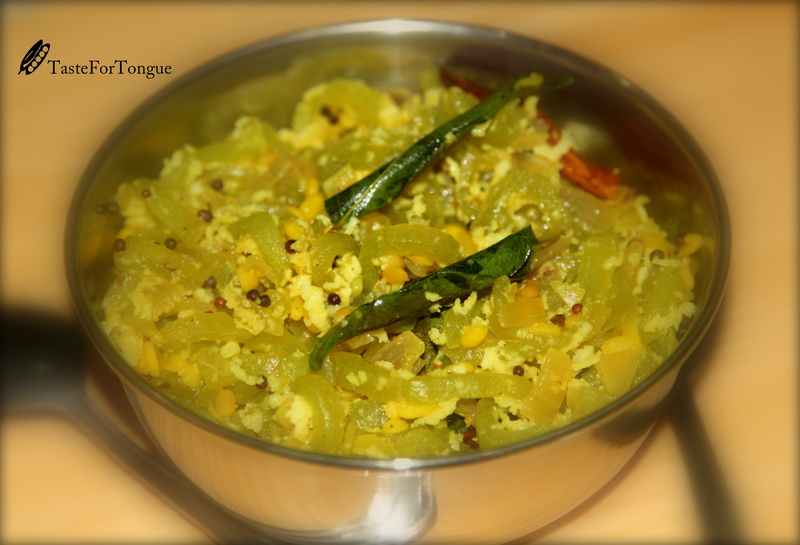 Garnish with grated coconut and serve it hot with rice or chapathi.